Monrovia – Executive members of the Movement for Democracy and Reconstruction (MRU) have sharply reacted to rumor that the party has agreed to join the ruling Coalition for Democratic Change (CDC). The MRU supported the CDC in the runoff election in 2017. Since then, the party has been one of the major stakeholders in the governing process of the CDC-led government, after sealing some top government position. There have been recent speculations that MDR signed an agreement with the CDC to form part of the coalition, making it four political parties in the ruling coalition government. But speaking during a news conference in Monrovia Thursday February 7, 2019, Musa A. Sherif, the National Vice Chairman for political Affairs of MDR told journalists that the party has not joined the CDC. 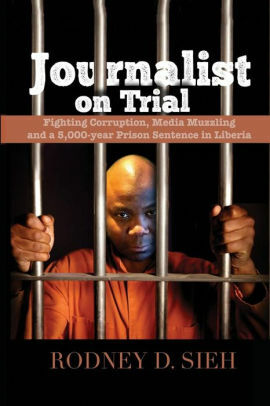 “The Executive members of the MDR want to be categorically, equivocally and unambiguously clear to the Liberian people including our supporters in and out of Liberia, mainly Nimba County that we are yet to sign, neither we are in discussion with the CDC, as to whether we will officially form a coalition,” Sherif said. According to Sherif, the party chairman and rest of the executive committee members including countries chairpersons are not in the know of the alleged ‘political marriage’ with the ruling party. “It is not only unacceptable but also laughable and it is simply intended to public ridicule our consciousness,” the National Vice Chairman for political Affair of MDR said. The National Vice Chairman for political Affair of MDR also warned the ruling CDC-led government not to discussed with anyone claiming to be their partisan. “We believe the CDC government that we fought for should not engage herself into illegal deals that will muddy the fire repetition and the gains made so far as a ruling party,” Sherif cautions.